Tokyo Coffee Festival keeps getting better. If you check out our instagram @goodcoffeeme you’ll see a video that I took at about 10:00AM on the Saturday just as the festival was kicking off. 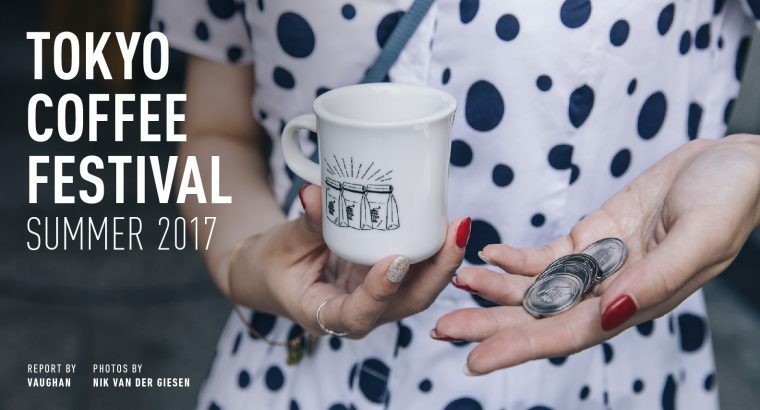 You’ll see a queue a mile long of coffee lovers.. and this was just one of the three stations selling festival original mugs / drink coins. Here are some of the many highlights of the festival we saw on the Saturday! This festival’s mini mug had coffee bean bag illustrations on them by Yunousuke (@yunosk). The cups were once again made by Kinto (@kintojapan), and for 1,500yen ($13 US Dollars) people could get themselves a ceramic mug as well as 4 coins to trade with coffee at any of the stands at the festival. Do a hashtag search for #tokyocoffeefestival on instagram and you’ll see 80% selfies with these mugs! People loved them. The next time I go to Kyushu I’m going to visit Shirahama Coffee Stand, where I hear you can basically have your cup of specialty coffee at part of a hot spring resort by the ocean. We were shown a photo (see below!) of what it’s like; you look over beautiful blue water and sky. It was Shirahama Coffee Stand’s first time in Tokyo, and they roasted and brought with them a light natural single origin Dominika with hints of red wine. DELICIOUS! 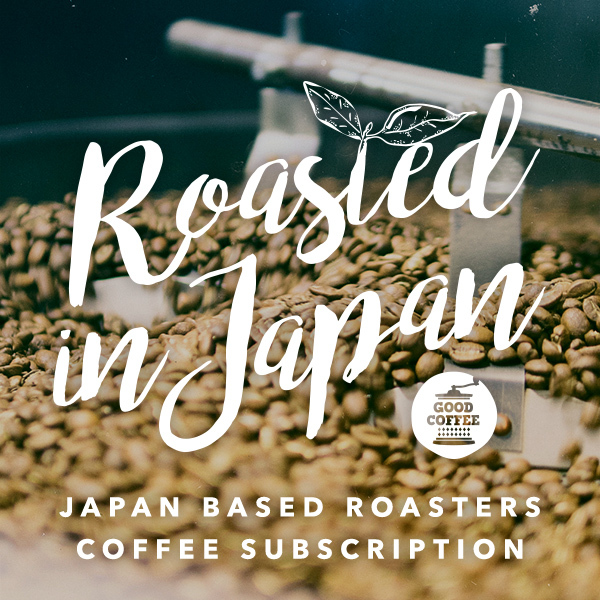 It’s probably one of the most talked about coffee related news since Blue Bottle came to Japan. Coffee Supreme from New Zealand will be opening in Shibuya in the summer. Unfortunately I don’t have many details at the moment – but I promise to bring them to you once I know more. Regardless, everyone who went to Tokyo Coffee Festival got the chance (if they were willing to join the queue 50 deep!) to be part of the first in Japan to taste their Supreme Blend; boasting tangerine, blood orange and cocoa flavours. Japan has already fallen in love with your branding COFFEE SUPREME. Your barista socks, coasters and Moleskine-like coffee notebooks are just beautiful… and just what we need to help take the market over here to the next wave! I was so happy when Arai Yoko accepted the offer to play for us at this festival. Not only are some of her songs about coffee and coffee time, but she also works in Tokyo’s most loved kissaten! I really felt that she was a match made in coffee heaven at this festival! Arai Yoko has toured extensively over the last year, and got a band together to play for us over the 2 days at the festival. It was so lovely seeing her hold a cup of coffee while talking to the crowds about what coffee means to her and her lifestyle. Thank you Arai Yoko! I tried a lot of coffee at the stands through the festival and I’d like to give a little shout out to Toyohisa Kubota and the team at Hazeru Coffee who had closed their store in Toyama to join the festival. They’ve only being opened 6 months or so, but already have made a name for themselves. I tried their cold brew from Kenya and it had spectacular body and flavour. I check photos online of their shop and love that they lay out servers filled with all their coffee for people to try and talk about. It’s this type of thing that customers need.. much more than anything else. I look forward to visiting this store! And I suppose that’s what Tokyo Coffee Festival is all about. It’s about coming to close contact with a roaster that brings you the good vibrations. It’s about the flavours for some, it’s about the branding vibe for others… but most probably it’s about the people at the end of the day. You come into contact with another coffee person and make a plan to see them again one day…. one day soon! See you all at the next festival.. if not before!